New Vital Signs Sensor module enables highly accurate, fast and convenient cuffless 24/7 blood pressure, heart-rate (HRM), heart-rate variability (HRV), and electrocardiograms (ECG) measurement. The new module integrates all necessary hardware (LEDs, photo-sensor, analog front-end (AFE) and sequencer) and software components. 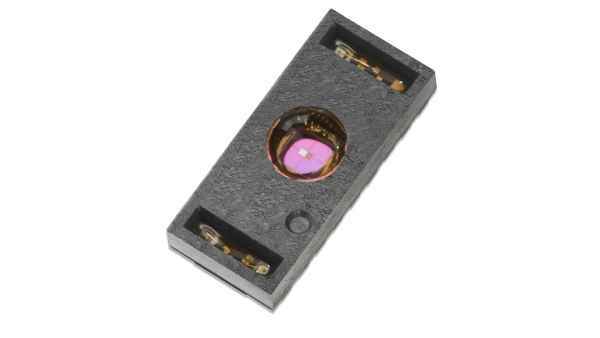 In addition the module enables skin temperature and skin resistivity measurements. The AS7024’s low-power design and small from factor is well suited to application in fitness bands, smart watches and smart patches, in which board space is limited. The operation of the AS7024 is based on photoplethysmography (PPG) and electrocardiogram (ECG). PPG is the most used HRM method which measures the pulse rate by sampling light modulated by the blood vessels, which expand and contract as blood pulses through them. ECG is the reference for any measurement of the bio potential generated by the heart. The AS7024 is supported by algorithms converting the PPG and ECG readings into digital HRM, HRV and Blood Pressure values. The module includes the LEDs, photo-sensor, analog front-end (AFE) and sequencer as well as application software. In addition to HRM/HRV and Blood Pressure, the module also enables skin temperature and skin resistivity measurements by providing interfaces to external sensors. The AS7024’s low-power design and small from factor is particularly well suited to application in fitness bands, smart watches, sports watches and smart patches, in which board space is limited and in which users look for extended, multi-day intervals between battery recharges.